Many would say that their loved ones are different people after their injuries. They talk about a new person emerging as the brain heals and reconnects. For our family, we see so much of Samantha's personality as we knew her before her accident we don't feel like she's a new person -just the way she does some things are different. She is still a very self confident, determined, driven, patient, co-operative, happy, playful, grateful, sensitive, loving, young woman. Those are the characteristics that make a person. Not the way they walk, talk, eat or depend on others. Samantha survived that accident and I have never been more proud of her than these last 7 years. The qualities that made her so special all her life are exactly the qualities that are driving her successful recovery from this devastating accident. The following summary was taken from the Brain Injury Association of America (BIAA) website. To understand what happens when the brain is injured, it is important to realize what a healthy brain is made of and what it does. The brain is enclosed inside the skull. The skull acts as a protective covering for the soft brain. The brain is made of neurons (nerve cells). The neurons form tracts that route throughout the brain. These nerve tracts carry messages to various parts of the brain. The brain uses these messages to perform functions. The functions include our coordinating our body’s systems, such as breathing, heart rate, body temperature, and metabolism; thought processing; body movements; personality; behavior; and the senses, such as vision, hearing, taste, smell, and touch. Each part of the brain serves a specific function and links with other parts of the brain to form more complex functions. All parts of the brain need to be working well in order for the brain to work well. 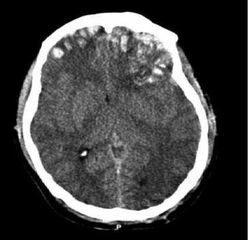 Even "minor" or "mild" injuries to the brain can significantly disrupt the brain's ability to function.